Professor Hannah Highlander teaches a wide range of courses in the mathematics department, with a focus on topics in applied mathematics. Some of her more common courses include Calculus, Biocalculus, Differential Equations, Real Analysis, and Industrial Mathematics Internship. In addition to teaching, one of her main passions is mentoring undergraduate students in research, primarily in the area of mathematical biology. Before arriving at the University of Portland in 2009, she worked as a postdoctoral fellow at the Institute for Mathematics and its Applications at the University of Minnesota. She earned a B.A. in Mathematics with minors in Computer Science and Music from Wesleyan college, and an M.S. and Ph.D. in Mathematics with an emphasis in Mathematical Biology from Vanderbilt University. 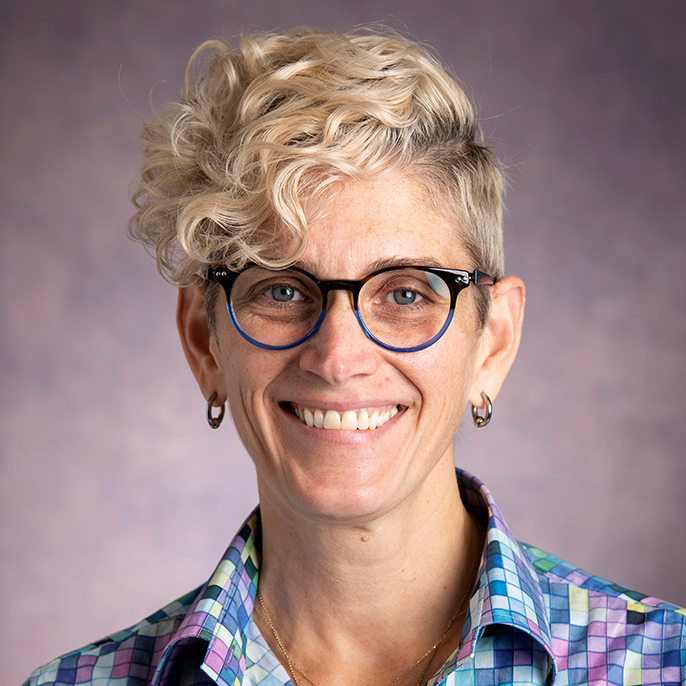 She is on the editorial board for Spora, A Journal of Biomathematics and Letters in Biomathematics and is a faculty fellow for the Intercollegiate Biomathematics Alliance. She is also currently the chair-elect of BioSIGMAA. Her primary research interests include mathematical modeling of cellular and molecular processes and infectious diseases, sensitivity analysis, agent-based modeling, and mathematical and quantitative biology education. She has published articles in a variety of academic journals, including PLoS One, Analytical Chemistry, Journal of Theoretical Biology, Journal of Biological Dynamics, Involve, Physiological Measurement, Journal of Engineering Education, Letters in Biomathematics, Spora, CBE Life Sciences, International Journal of Biomathematics, and Primus. She has also coauthored three book chapters related to modeling infectious diseases on contact networks. Professor Highlander is originally from Halls, Tennessee, and though she spent a large portion of her life in the south, she is happy to call Portland home. When she is not on campus, you might find her strumming away on the guitar and singing in her church worship band, cruising down the slopes on Mt. Hood, paddling down the Columbia slough, or trying out a new recipe in attempt to discover new ways to encourage her son to eat his vegetables.